THOSE HORNETS WHO WENT TO KUSER GRAMMAR SCHOOL DURING THE 40'S CAN SEE THEIR CLASS IN THE ABOVE GRAPHIC. 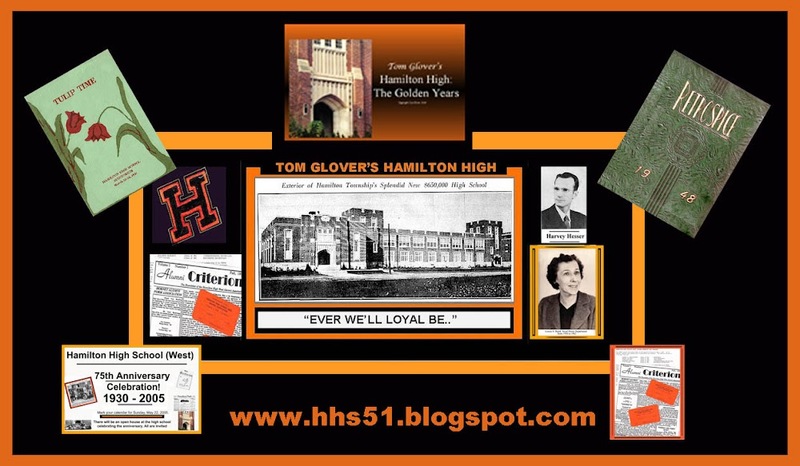 THE EIGHTH GRADE ARE THOSE WHO WENT ON TO BECOME HHS '51. 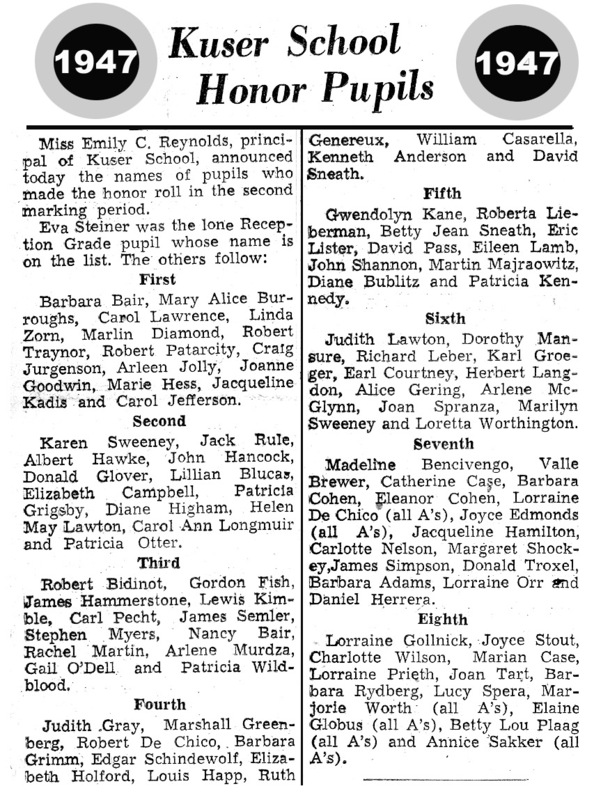 WORKING BACKWARDS YOU CAN OBVIOUSLY SEE THAT THE SEVENTH GRADE CONSTITUTES MY NEXT DOOR NEIGHBORS IN THE CLASS OF '52, DOWNWARD TO RECEPTION GRADE, CLASS OF '59. HAPPY HUNTING! Sadly we report that Clara (Schlagel) Stonaker, HHS56, passed away Thanksgiving Day (Nov. 22) at home. According to a family member who has been in touch with classmate Nancy (Higgins) Lettiere, Clara "...died with a hospice nurse at her bedside. All funeral arrangements were kept very private." She had resided for a number of years in the Toms River, NJ area but a check as late as earlier today of the Ocean County Observer ands the Asbury Park Press, the two newspapers serving Toms River, did not revel an obituary.